There’s nothing worse than a case of mid-flight hangries. Bring plenty of snacks to keep kids of all ages entertained is a MUST for every family trip. 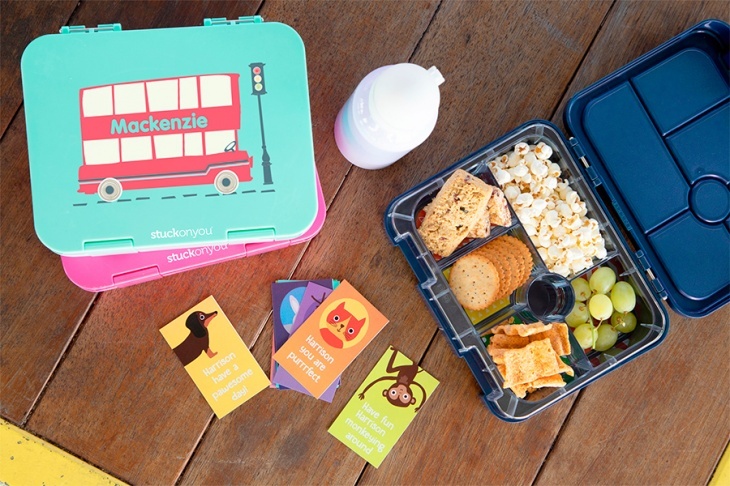 Stuck On You Bento Boxes come with separate compartments, meaning that you can store multiple snacks such as yogurt, sweets, and fruits in one handy box that the kids will love eating out of. There are two sizes of Bento box – Large and Mini, so parents won’t need to carry extra zip lock bags or food boxes to their already heavy daycare bag. The best part is, kids would be excited to see their name printed on the Bento box, because Stuck On You offers personalisation with no extra cost and they have so many cute designs and colours to choose from. Order here and personalise it with your kids, that can be a good weekend activity with all the mix and matching. 25–30 April, 01 May–11 June, See the website for the opening hours.